Welcome Home Martinez Dias Family! Guillermo and his family live in the ‘Jose Sulaiman’ community of Juarez, Mexico. He works in a factory and earns about $63 per week. 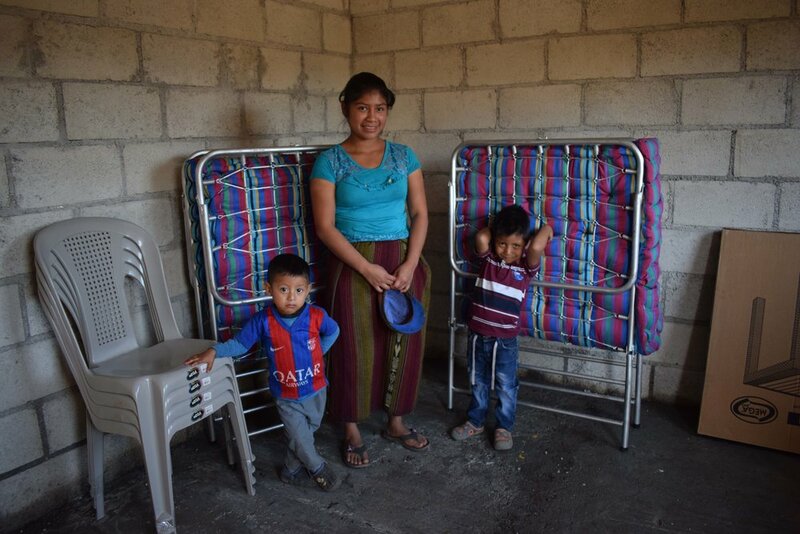 Liseth is a stay at home mother and cares for their two children, Dabne (4), and Guillermo Jr. (9months). The family currently lives in a one room structure that has been constructed with used lumber, plywood, and felt paper and has a dirt floor. 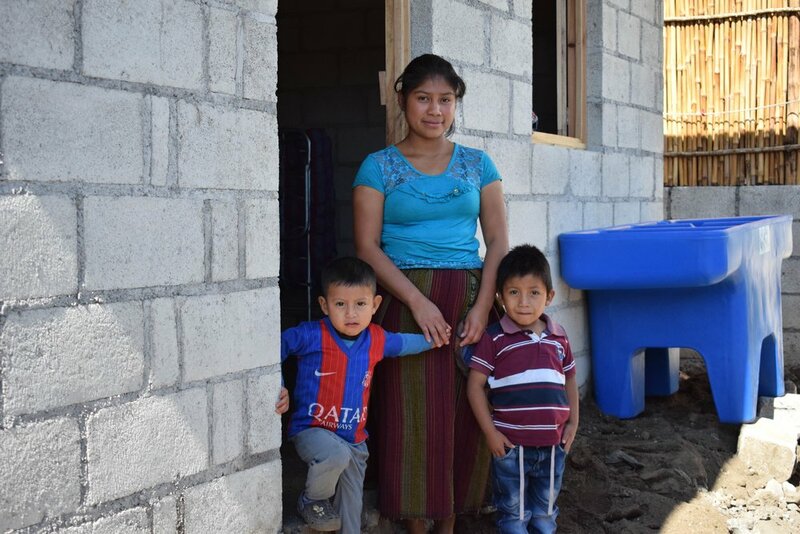 They have been able to purchase the lot where they live but have not been able to build an adequate home for their family. But now, thanks to your kindness, they have a brand new stucco home! Guillermo asked that we tell you: “Thank you for this blessing and the gift that you are giving to our family.” We hope that this family has many years of great memories in this home. Joel and his family live in the ‘Jose Sulaiman’ community of Juarez, Mexico. Joel works construction and specializes in tile work, earning about $68 per week. Meliza stays at home and cares for their 3 year old son Yoel. 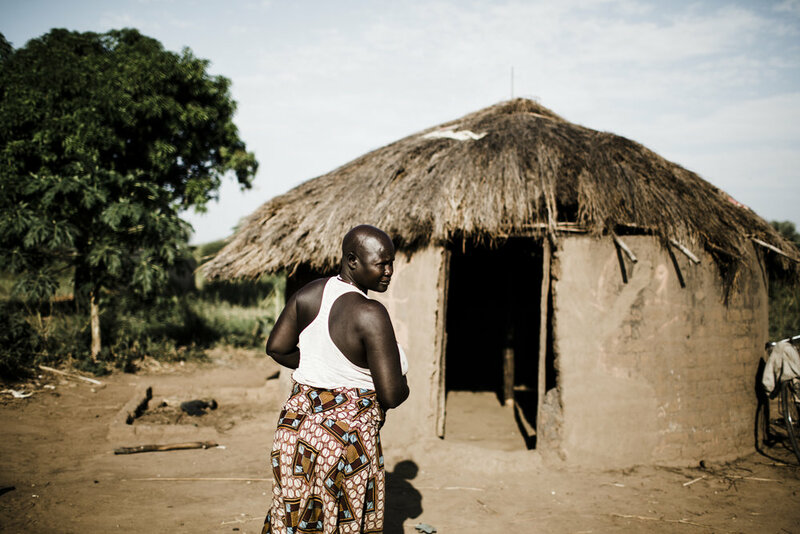 Joel and his family have been living with his mother-in-law for four years to save enough money to purchase land for their own home. And now they have a brand new stucco home on the property! "We give thanks for the home that you're giving us - it is such a need for our family. May God repay you for your generosity and bless you." Manuela Gomez, age 65, and her husband, Manuel Ravinal, are in need of a house. They are raising one of their grandchildren because her mother abandoned her. Kailyn, who is 5 years old, loves living with her grandparents!. 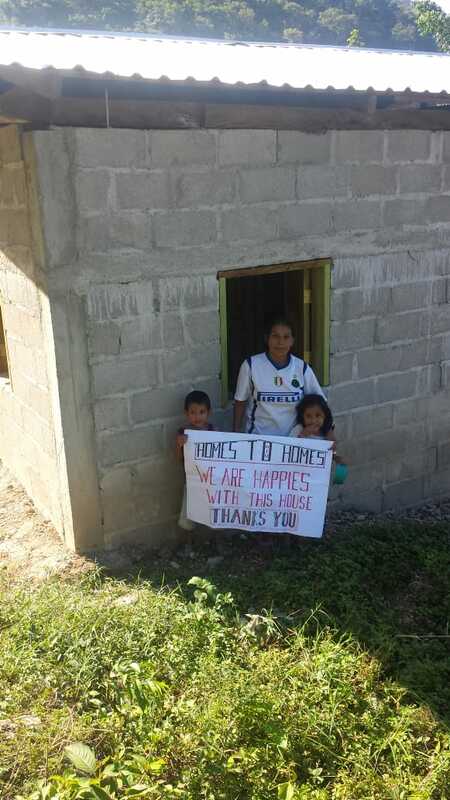 They are so thankful to receive a new home because their ceiling and walls are currently falling down. Now they have a concrete block home with a solid roof! This home will be passed on to Kailyn in the future, allowing her a safe place to live and grow. Doreen is a woman who is currently over burden, psychologically, physically and emotionally. She lost her husband in august 2013, and he died of tuberculosis, but his death was so abrupt and saddened and due to the illiteracy in that area, the family almost thought she had poisoned the husband and yet this was completely not true because the medical report confirmed that he died of heart attack. But even with this medical knowledge, Doreen was already rejected by the extended family members and some of her own children hated her too for the death of her husband which they blamed on her. Doreen has 12 biological children to feed and yet currently Doreen is currently undergoing chemotherapy for breast cancer, and she is struggling for energy and hope. Doreen is on her piece of land left for her by her late husband and a brand new home was built right before Christmas. She was overcome with JOY when the home was completed!! 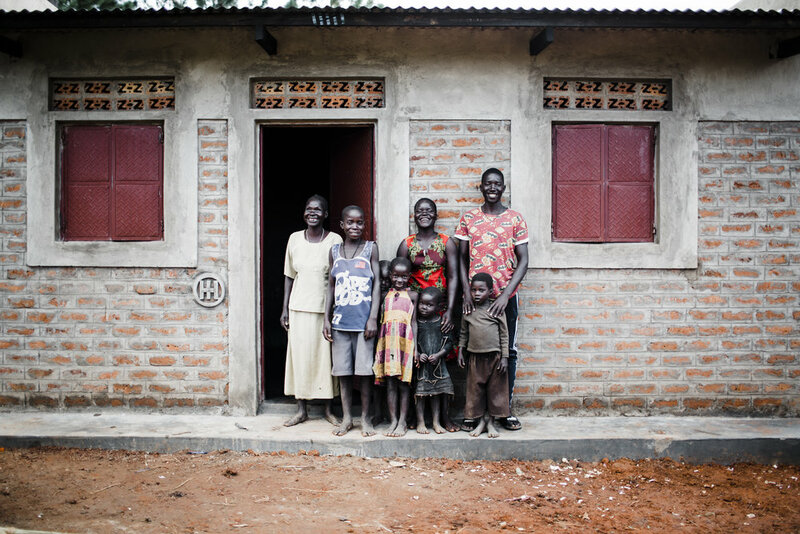 Hope was evident all over spirit, and her children were so relieved to have a safe environment to live. Thank you for giving this tremendous gift to Doreen! Marta is a widow, living in Monterrey, Honduras. Her husband passed away a few years ago, and she has been raising four children on her own. Santos, Brenda, David, and Giselle attend school in their community and also help their mother by gathering firewood. Marta grows food for her children and also washes clothes for neighbors to help earn a little money. 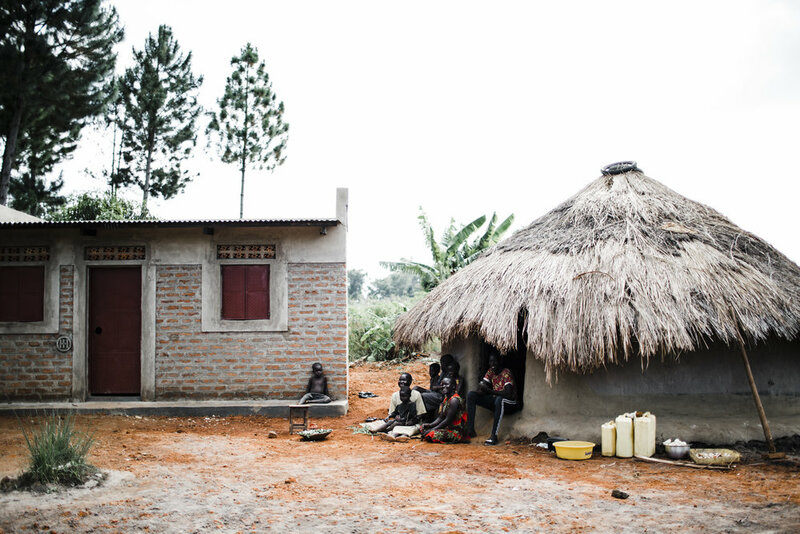 Their previous home was made of sticks and mud, and it constantly needed repair. 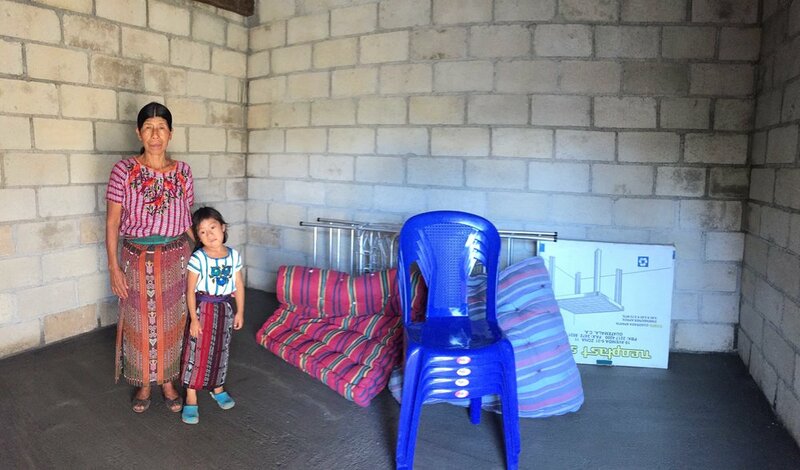 Now, thanks to your kindness, they have a brand new home with a concrete floor and solid roof! Thank you for generously supporting Marta and her children.